Even Bollywood stars have now got down to bring peace between former colleagues Kapil Sharma and Sunil Grover. Actor Rishi Kapoor has appealed Kapil and Sunil to patch up and move on after their major fallout during a flight from Melbourne. Rishi Kapoor expressed his concern with a Tweet and wrote, “IPL. There is a look-alike of @KapilSharmaK9 in the team of Sun Risers Hyderabad. Anyone finding @WhoSunilGrover in any team? Mil Jao yaaron!” However, Sunil Grover, who was on the receiving end during the in-flight spat, was in no mood to reconcile with Kapil. Grover gave a prompt reply and wrote, “Sir, I am not playing this season because I am retired hurt. Best Regards.” Comedian Sunil after his spat with Kapil had posted a long message towards Kapil asking him to respect human beings apart from animals. 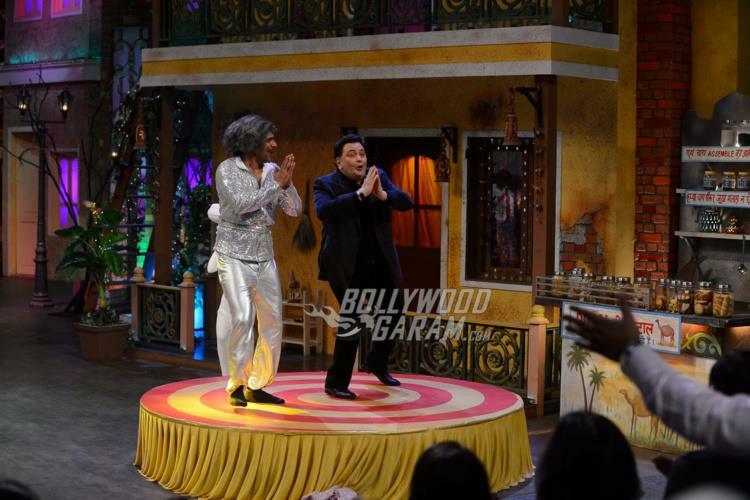 Sunil played a popular character Dr. Mashoor Gulati on The Kapil Sharma Show and often made the audience and guests laugh with his antics. Sunil in his post also wrote, “Thanks for making me realise it was your show and you have power to throw out anybody, anytime.” Meanwhile, Kapil tried his best to bring back his colleagues on his show but in vain. The actor also apologized on Twitter and wrote, “Sorry if I hurt you unintentionally. You know very well how much I love you. I am also upset. Love and regards.” But for Kapil it was too late and a number of actors from his show walked out including Chandan Prabhakar. Since then the ratings of the show have gone down and there were even rumors that the comedian might have to shut down his show for good. IPL. There is a look alike of @KapilSharmaK9 in the team of Sun Risers Hyderabad. Anyone finding @WhoSunilGrover in any team?Mil jao yaaron! @chintskap @KapilSharmaK9 Sir, I am not playing this season coz I am retired hurt. Best Regards🙏. Previous articleHalf Girlfriend's Main Phir Bhi Tumko Chahunga is the romantic song of the year! Next articleTamannah Bhatia is excited about Baahubali 2 - The Conclusion release!